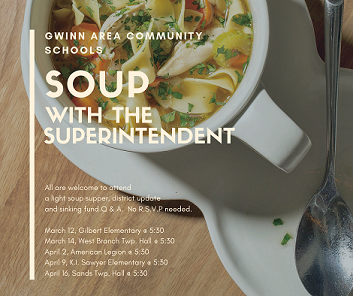 Join Superintendent Sandy Petrovich for a district update to the communities of Gwinn Area Community Schools. Click on picture to view each community flyer. Call to Schedule. Click for more information. Congratulations to Amy Anderson, GACS Teacher of the Year! 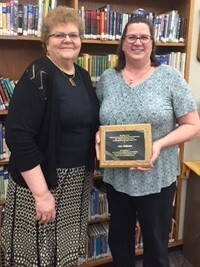 Amy is recognized for her strong connections to students, her leadership in professional development and her instructional practices that engage students in learning. As a high school science teacher, she exemplifies the outstanding teachers we have in the Gwinn Area Community Schools!